The stroke specialist at the Cerebrovascular Center at Cleveland Clinic detailed how patients who were rehabilitated earlier were shown to have better outcomes and a shorter stay in the intensive care unit in this study. Presented at the 2019 International Stroke Conference in Honolulu, Hawaii, the data revealed that the median ICU length of stay was significantly decreased in the experimental group (3.5 vs 10.5 days; P = .037), as was the overall cost of care. As well, the control group reported more fatigue at 1 week prior to discharge (P = .026) and more sleep disturbances at 30-days post discharge (P = .032). 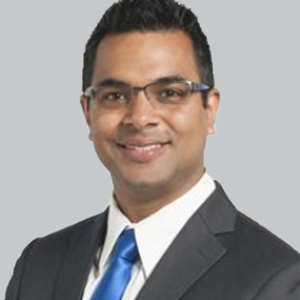 Pravin George, DO, a stroke specialist at the Cerebrovascular Center at Cleveland Clinic, and the presenter of the data, spoke with NeurologyLive to explain more of the findings. NeurologyLive: Can you summarize the results of your poster? Pravin George, DO: Because there were so few patients, we had 10 in each arm, it was hard to gather significant differences, but we did find that 90% of the patients from the experimental group came out with a modified Rankin score of 1 or 0, which is not only functional independence, but it's also no disability. It was just that they had a few symptoms, but no disability. Whereas, in the control group, only 50% of the people still had some kind of disability at 90 days which is a decent finding. The cost of care for the whole thing was down by about 33% in the cost analysis that we did between the 2. So, the early enhanced group was about 33% less expensive for the cost of care for the patients. The early enhanced rehabilitation group also had a significantly shorter ICU stay, which was about an average of a week less ICU time, and that was actually a significant difference. Cognitive outcomes also were significantly different in early rehabilitation group. We had 30- and 90-day checks on them, and the score of their MOCA, which is the Montreal Cognitive Assessment, was better in the experimental group at both 30 and 90 days. That cognitive effect seems to have continued all the way out in the 90 days when we followed up with them. At discharge, we do a patient-reported outcome and there was a significant improvement in fatigue and depression in the patients. They felt less significant fatigue and less depression. Now, one of the things that we saw was that 5 patients in the control arm had this characteristic called vasospasm, which is one of the leading causes of morbidity and mortality that happens in the hospital to these patients that have subarachnoid hemorrhages. Five patients in the control arm had that versus 1 patient had that in the experimental arm. Looking at the patients that were enrolled in the study, however, the severity of bleed and the severity of symptoms were same when they came in. There was no difference in how severe the bleed was or how good the symptoms were, but at the time that they left there was a significant difference. Was there anything surprising or unexpected that you encountered? It was surprising to me, and we're going to try and look at this in a larger randomized control trial with more patients, is that there's vasospasm. We don't know what causes it, and that's one of the big things that we're trying to research. Some people are doing clinical research on it, some people in translational research, and some people who do basic research on what causes is vasospasm. What was surprising to me was that there was a study that was done in 2015, where they basically looked at the mouse model of vasospasm. They had a few patients that they retrospectively looked at and they noticed that in that population, 50% of people that were not early rehabbed, retrospectively had this vasospasm, whereas only 10% of people in their early rehab group had it. Looking at our data, even though it's only 10 patients, we see very similar numbers. Fifty percent of our population in the control arm had vasospasm, versus 10% in the experimental arm have vasospasm. That's a surprising finding and we're not exactly sure why that happened. But the fact that 50% had this vasospasm but 10% didn't—that could lend to their length of stay in the ICU because when you have vasospasm, you're obviously monitored a lot closer, and you have a lot more interventions going on. That could have been one of the things that led to the increased length of stay in the ICU. The other thing is that a lot of these patients that are undergoing tests for vasospasm, and that probably increases their cost of care as well, so that is probably one of the reasons why we saw a decrease in the cost of care probably in our experimental group. What's the main takeaway for the clinician community? The main takeaway is that early rehab in aneurysmal subarachnoid hemorrhage patients is associated with better cognitive outcomes and a shorter ICU stay. Early and enhanced rehab in this population is safe and feasible. One of the major utilization therapies that we used in this study was what's called a bedside cycle ergometer, and it can be used very easily and safely in this in this population. Basically, you bring a bedside bicycle to these patients, and whether they're in a comatose state, whether they have high intracranial pressures or low blood pressure, you can put the patients into this thing and it's very easy to mobilize them. You don't have to get them out of bed, put them in a chair, and change their position or anything like that. A lot of times, it's very hard to mobilize patients that have aneurysmal subarachnoid hemorrhage because they have a brain catheter and or they have some kind of vasocatheters or something like that. With the bedside cycle ergometer, which was one of our major our major mobilization techniques in the early enhanced rehabilitation group, was that it was able to be used in a safe and effective manner. This was the first randomized trial (pilot) to look at this in the neuro-ICU. We're going to look for a bigger study in this to see whether there are physiological effects of actually putting a patient into the cycle ergometer. We're looking forward to a randomized controlled trial in the future looking at 40 patients in each group, and what we're going to do is connect a continuous EEG monitor to them and put in continuous transcranial ultrasound to look at ultrasound of the vessels, so when patients are on this bike, we're going to try and see if there's EEG improvement and to try and see if there's vessel improvement as well. The other things that we're going to look at this future study are any kind of quality outcomes, central-line associated bloodstream infections, catheter-associated urinary tract infections, and deep vein thrombosis. With a lot of these patients that have a subarachnoid hemorrhage, we usually don't start them on anticoagulation very quickly to prevent blood clots in their legs just because of a bleed in their brain. This bedside cycle ergometer may help with reducing the rates of deep vein thrombosis in these patients because we can't start them on anticoagulation therapy. 1. Early Rehabilitation in Aneurysmal Subarachnoid Hemorrhage Patients is Associated with Better Cognitive Outcomes and Shorter ICU Stay. Presented at: 2019 International Stroke Conference; February 6 to 8, 2019; Honolulu, HI.